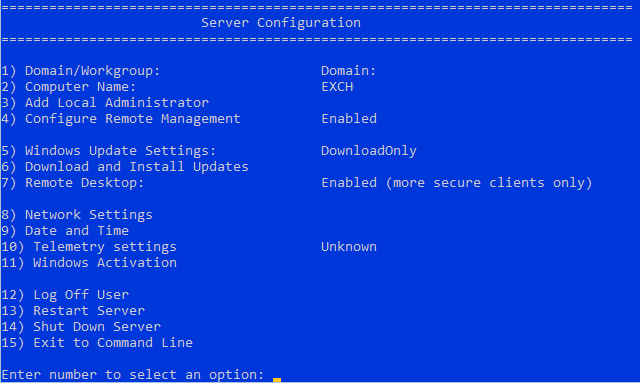 Running Exchange 2019 on Windows Server 2019 Core, is the “new” preferred way to run Exchange, because of the better performance with core, fewer updates and the smaller attack surface! So let’s get a Windows Server 2019 Core up and running, choose to installed it without Desktop Experience! To install UCMA runtime 4.0 as required by the setup of Exchange you can navigate to the UCMARedist folder in the ISO and run the setup.exe file, then run the graphical installer. This will install Exchange 2019 with all prerequisites automatically! 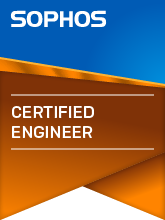 After completion, reboot the server, and try to connect to OWA and ECP like usual. 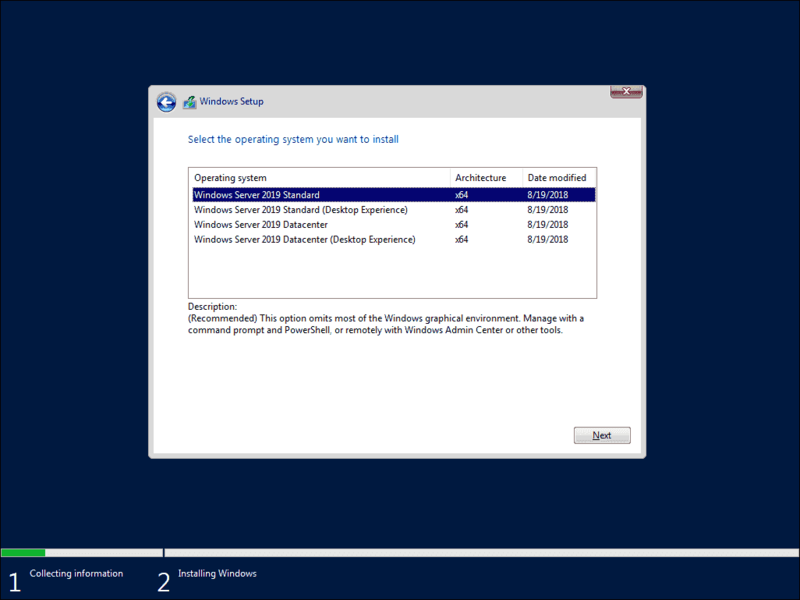 ← Windows Server 2019: Activation fails on a freshly installed server!